On the Rome Fiumicino Airport motorway, exit following the directions to Fiera di Roma. 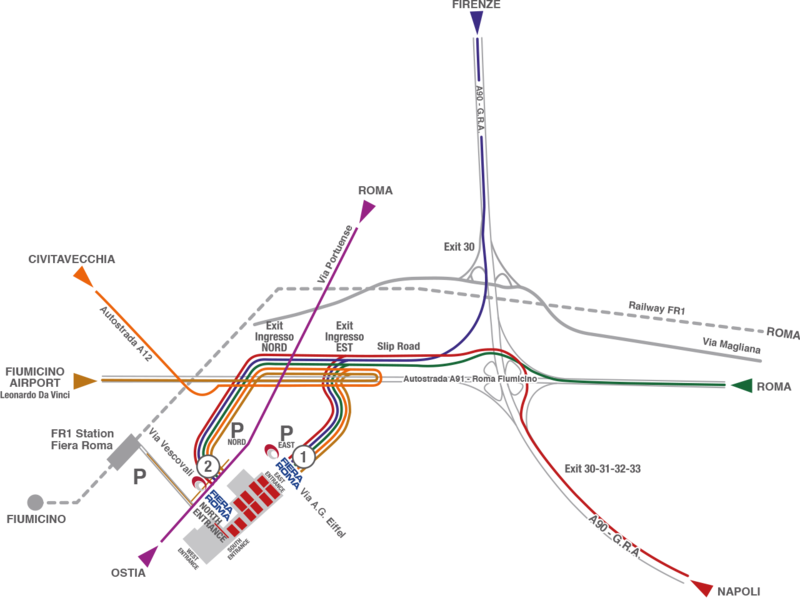 From Roma Fiumicino airport, it is possible to reach Fiera Roma with the FL1 train, Fiera di Roma stop, alternatively by taxi or Cotral buses. The address for INGRESSO EST (East entrance) is Via A.G. Eiffel (side street of Via Portuense), for the INGRESSO NORD (North entrance) is Via Portuense 1645-1647. Estimated time from the city centre (Piazza Venezia): 40 minutes. 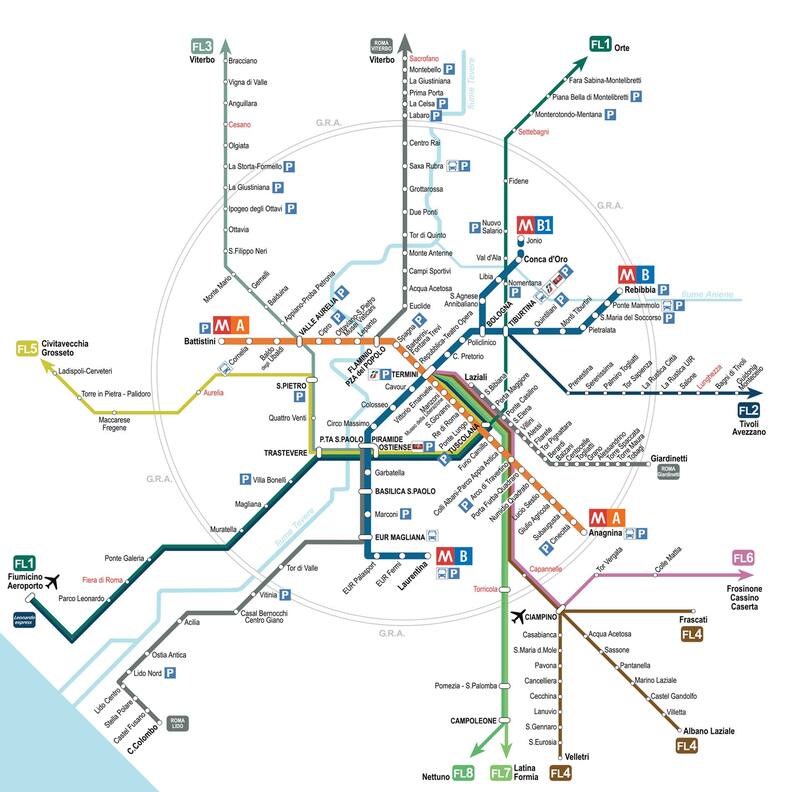 From Tuscolana, Tiburtina, Ostiense, Trastevere train stations, which are connected to the A and B lines of the underground (Metropolitana) take the train FL1 toward Fiumicino and get off at Fiera Roma stop. Fare 1,50 euro.